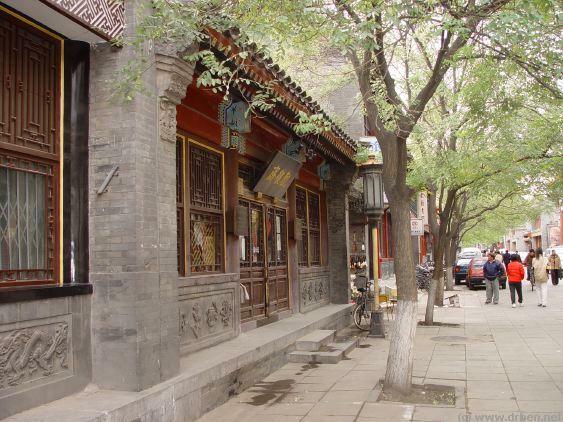 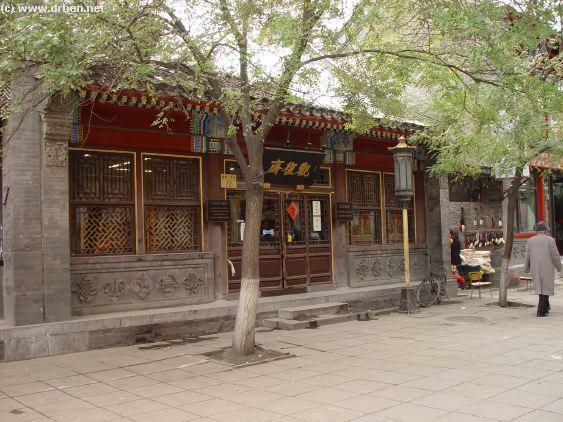 Welcome to The Beijing Report's Digital Impression of the Liu Lichang Culture Street Guan Fu Classic Arts Company. 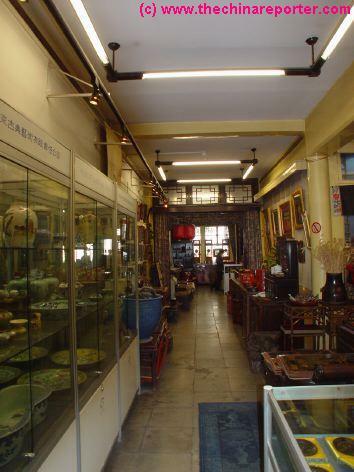 Guan Fu Zhai Classic Arts Company Storefront at No. 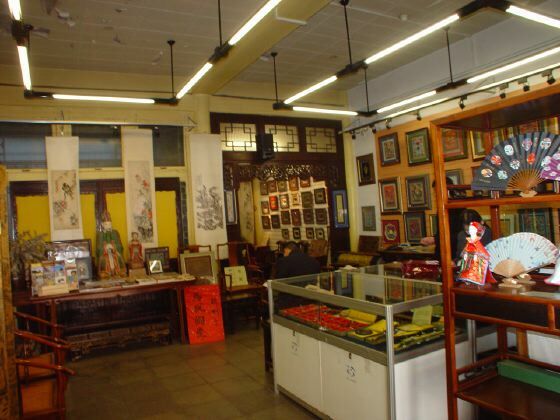 22 Liu Lichang West Street. 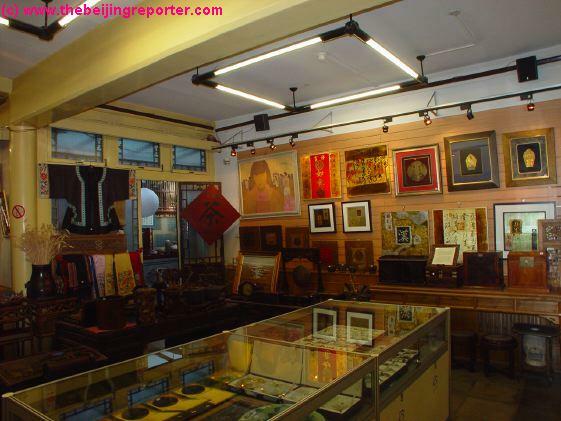 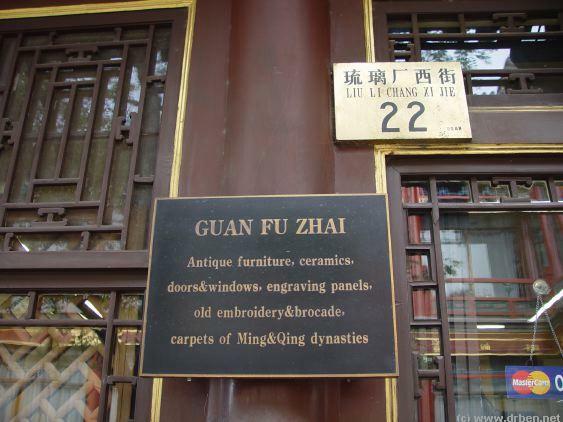 Unfortunatly Guan Fu Zhai Classic Art company at Liu Lichang West Street has closed somewhere in the 2nd half of 2004. 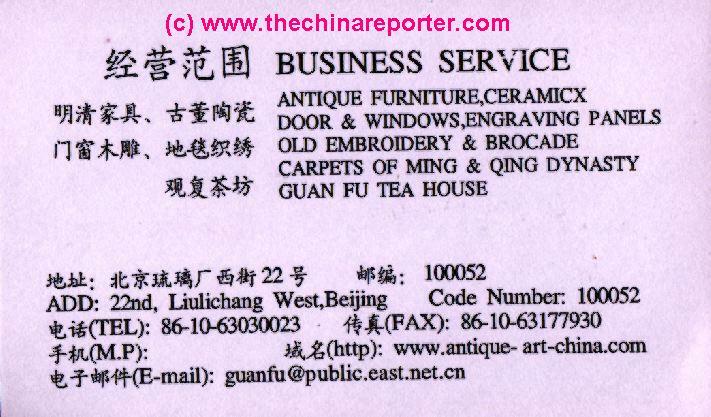 It is unknown if the business continues at a New Address. 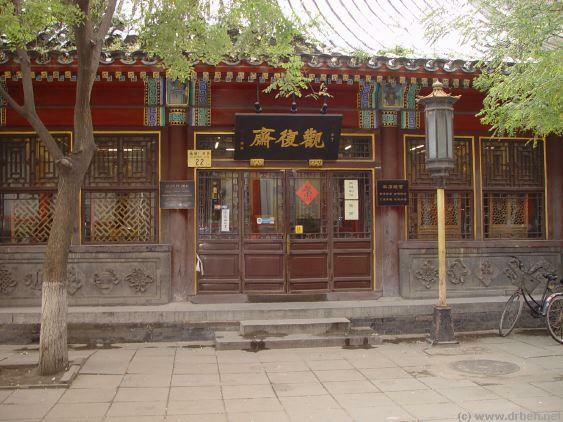 Guan Fu Zhai is no longer located at Liu Lichang West Street, the premises are now converted into a small bank building of the agricultural Bank of China. 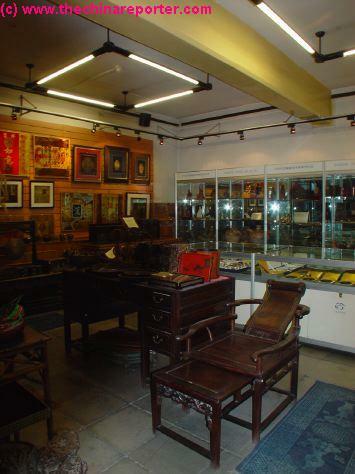 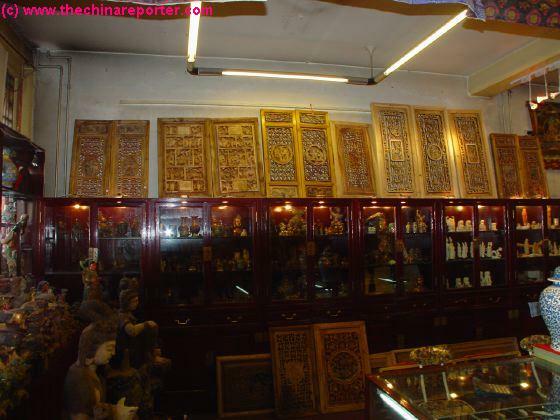 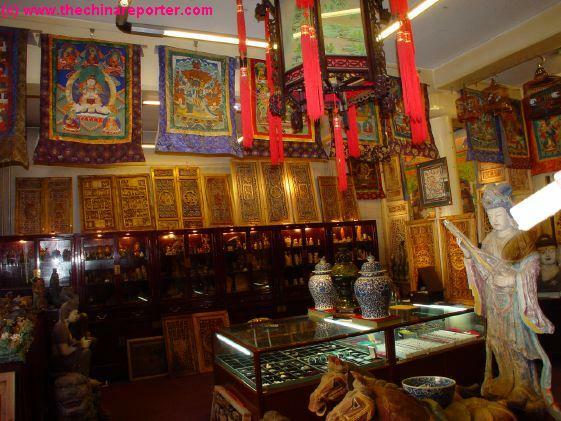 Overview of Guan Fu Zhai Classic Arts Company Storefront showing its various decorations in stone- and woodcutting, and traditional painting. 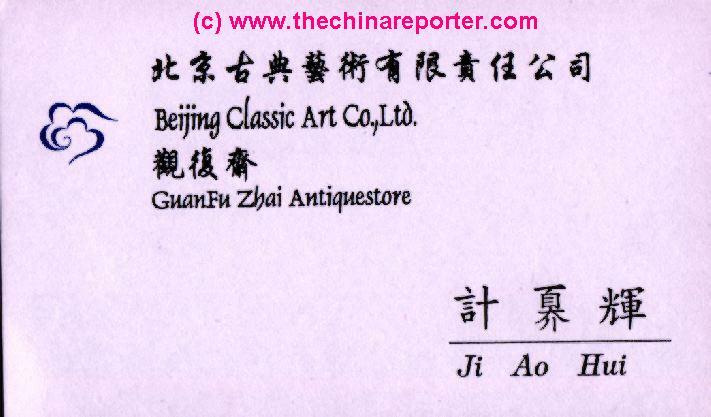 Official contact informatio and Business Card of Guan Fu Zhai Classic Arts Company.